Forced change is one of the hardest aspects of communications today. With consistent technological evolution and its impact on the Internet and media, change we must. Often change requires letting go of sacred cows, meaning those marketing and communications initiatives that are important to us or the company yet we know their not working. Why would a company continue efforts that produce little or no results? Precious “must have” initiatives can pale in comparison to other efforts when it comes to delivering actual results. Still internal stakeholders feel these programs are the way business should be done. External perception and trends can provide as much if not more peer pressure. You need look no further than the perception that every business and nonprofit should be active on Facebook. This is where data can offer a great marinade, the evidence that helps spur a conversation about change. But you need to have that conversation, probably many of them to get an organization to let go of its sacred cows. The process of helping people move beyond set beliefs also requires a deft hand that allows them to save face. Every organization should have a mission that helps the company or nonprofit determine its communications goals. When you understand where you are going, you can build key performance indicators (KPIs) that clearly show whether or not a particular tactic or initiative is meeting its goals. Engagement will be determined by the amount of website traffic referred from each social network (branding). A successful social network post will yield 5% click through. Successful social network communities worth investing in will produce lead identification through email sign-ups, online chats and contact forms. Five percent is the target for all social networks (lead gen). It’s fairly easy to set up these types of goals with a combination of web analytics and CRM. Almost every marketing automation system empowers this type of tracking. However, the real yield in these efforts is gaining clarity about your customers. While your sales people may understand customer profiles in general, data yields exact profiles. For example, they work in mid-cap companies and are either directors or vice presidents. They tend to work in technology or security concerned industries. You may be able to determine gender and age. Sixty eight percent are women aged 30-49. In addition, you can map customer behavior. They interact with us on Twitter, but share our content on LinkedIn, too. Those that like our page on Facebook never share the content, nor do they click through. Suddenly, you have a clear picture of how your customer interacts with you and who they are. It is important to identify what is working and what may be failing, including your sacred cows. I think its critical to look at the data with an attitude of discovery. If you go in and say this isn’t working, then people act out of fear. Covering up and saving face becomes more important than changing. This is the conversation to have: Look at what this data is showing. Maybe we can better meet our KPIs if we tweak our current outreach. What do you think? Make it a safe conversation where everyone has a voice. Don’t push to cut things unless everyone or a majority of your team is in agreement. You may need to go through a cycle or two in your program before prescribed change is agreed upon. Perform an audit of your communications and content. Experiment to see if you can get more yield on social networks, email, ads, etc. Instead of generic content, you can now drill down and offer specific content that may be more compelling (e.g. contextual). For example, instead of offering photos of men at work, show pictures of women at work. Perhaps offer custom content for your top industries as the reward for signing up for emails. If getting authorization to experiment is difficult, data should help to justify A/B tests. Try it once and see if the results are different. What CMO won’t give something a one-time try to see if they can get more engagement, leads, and potential customers? As you experiment, you learn more about the role of each medium in your networks. Poorly performing sacred cows continue to stink. Each time you present the data about which actions are meeting KPIs and which ones aren’t, it becomes clearer that some initiatives must go. The question may be changed to should we cut this? And then when should we cut this? The process of experimentation helped vested internal stakeholders see the poor performance, try to save it, and realize it was simply no longer a viable communications path or method. You may have known through this whole process that your sacred cow needed to be cut. Going through the process was necessary to create palatable change within your organization. Usually, we see change as a moment in time. But in reality change is often an evolutionary process. This was the case when Tenacity5 announced its stance towards Facebook marketing last week. We experimented and changed approach a couple of times before letting the overhwelming and consistent data inform our decision. It wouldn’t be early January without a few predictions about what the new year will hold for the industry. In fact, I am preparing a presentation on the Near Future of Media for a DC AdClub event at the Newseum this January. And without further ado, let’s get to the big trend for 2015. No matter how often I consider Watches, fancy apps, and the Internet of Things, I find myself meandering back to data and how it is forcing marketers to answer the question, “So what?” This is the future of media in 2015: Precision, specifically, the movement towards it. Marketers and content creators alike are finding it increasingly difficult to get funded without data accounting for their performance. Those that analyze data and asuccessfully use that analysis to strengthen their communications programs will excel. Most larger media outlets are now harnessing data to create algorithms that determine which stories are bubbling up and should be covered, as well as which topics their readers/viewers/listeners care most about. The better advertising networks have A/B (C/D) versions and source the ads that are performing best. And most company executives have realized that digital media tools have advanced well enough that hypothetically they should be tracking first touch attribution, ROI, loyalty, etc. Hypothetical was said with intention. Most companies don’t have experienced staff, analytical skills, time to learn, and/or the internal discipline to use their data assets well. The time for excuses about not understanding media ecosystems performance is over. Company executives are now asking, “So what?” more and more frequently. If a marketer, communicator or media outlet can’t prove that they are generating interest, return customers/readers/viewers/listeners, and yes, deeper engagement, then the inevitable “So what?” will turn into an even nastier conversation. Budgets will get cut. Demands will be made. Content will thin. Frequency will be reduced. All of this in favor of other more trustworthy initiatives that will grow a corporate profitability. This is true of every digital tactic. If native ads are not yielding return, then customer profiles, content and medium will all be questioned. And if digital content designed to encourage customers still fails to create throughput to the corporate website, the inevitable “So what?” will happen. At Tenacity5 all of us have completed or are taking Google’s Analytics Academy series of courses on measurement. Too many of our clients want to understand content performance, but don’t know the ins and outs of data analysis. We will help them as part of our services. We are also publishing a SlideShare/white paper on the tips to hasten analytics adoption as soon as the new year is over. Hopefully, those that are following will find it useful. Read all five of Geoff’s 2015 predictions on the Cision blog. Immersive technologies offer incredible new media experiences. These paths give us the opportunity to develop new ways of interacting with our communities. We will create incredible experiences that alter the very fabric of our lives. As the media we use becomes accepted, case studies will emerge showing how brands compelled people with remarkable moments and applications. Consider the movie Her and the role of personal artificial intelligence avatars in society. You may think it’s far off, but the MIT Media Lab is already working on a similar project involving personal robots. Perhaps social validation via Facebook won’t mean much when we can simply ask our own personal Carla Jung what she thinks about our deepest fears. Whatever you think of personal AI, we are entering a time when rich media will be served to us in cars. We’ll receive directions, have tweets read to us, view overlay screens, place entertainment consoles in the rear seat and more. Watches empowered with technologies like Google Now already prompt us in our ear buds that the subway stop is just two blocks to the right, and that waiting for the third train will actually save us time. Those are just two obvious examples of the near future or the not-quite-adopted now. Yet, these portable media offer brands and content creators new paths to explore. It’s always been this way. During Halloween 1938, the United States experienced the incredible impact of radio drama via The War of the Worlds. No one expected such a captivating tale. Radio moved from a medium to gather around and became an incredible, dynamic imagination machine. Broadcasters were outraged, and Orson Welles became one of the world’s great dramatists. Every entertainment podcaster today and every bad alien movie (Cowboys and Aliens comes to mind) can thank Orson Welles and CBS for breaking new ground and creating a compelling experience with an already established medium. Welles and CBS in turn surely thanked H.G. Wells for his brilliance in novel form, all the way back in 1898. I am struck by two common themes in online marketing today: the overwhelming movement towards analytics and the increasing drumbeat of visual media. Both are necessary movements — ones I have touted, too — offering paths that lead to better relationships with customers. Paths are important, but you need levers. That is the issue with today’s data and visual media conversations. They fail to blend levers with paths. Data points the way to better engagement or more conversions, but you need to compel people. Data only gives us the preferences of the moment and an understanding of community needs. If we fail to build strong levers, people look for a different resolution to their needs. Today’s marketing experts talk about visual media, but often don’t know how to develop and use illustrations, graphics, photos and videos. So we hear a lot of chatter about visual media but see few levers. If there was ever a medium in which to show and not tell, this would be it. Instead, we have road signs in the form of blog posts that point out paths, but don’t compel people. Boring “me, too” campaigns ensue. The first ones work. But as the signal gets noisier, common content approaches fade to black. While the path is correct, the levers are weak. They lack creativity. What’s another store selling its wares on Halloween? How about flipping the paradigm and making fun of your overwhelming box store experience with a Shining tribute, one that speaks to your target customers (30- and 40-something families with kids)? Marketing paths need creative levers. Levers compel us. Paths give us a means to create levers, but we need to do more. We have to tell interesting stories and innovate upon the current level of useful content. Shooting photos in Washington, DC can be tough. Some subjects are so well photographed you really have to look for a different perspective. I often look for a high or low point of view, or shoot at night, or use a long exposure. A common subject becomes compelling, more interesting. The Washington Monument takes on a different look in the fog with a long exposure. It’s spooky! A fitting shot for a Halloween week. You’ve got data. You know you need to become more visual. What are you going to do to compel people? Myths and misconceptions are abound in the marketing blogosphere. Sometimes I can’t help but think that we have a pseudo religion about the way the industry is. In actuality, a small group of blogging voices laud these best practices and ideas based on their experiences or beliefs, which for all intents and purposes are valid. From a research perspective this data represents a small sampling, in turn creating myths about marketing that don’t apply to the whole profession. 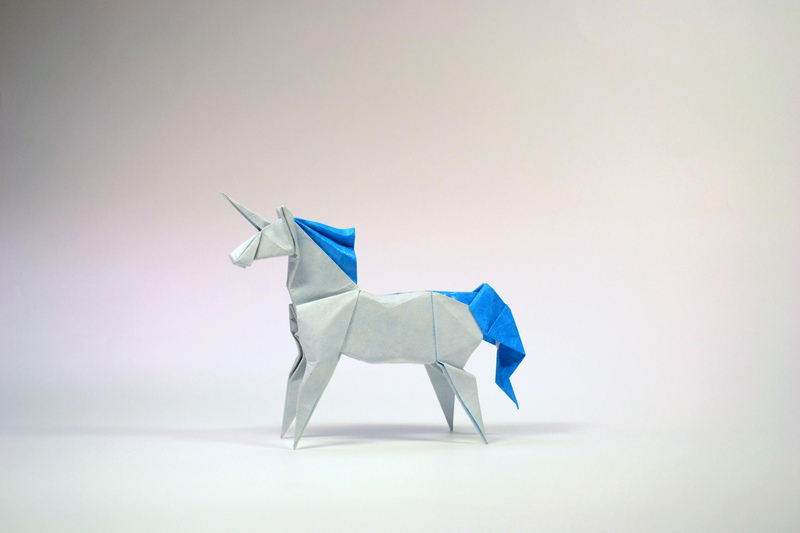 Here are five common marketing myths I hear about frequently. We are in the midst of a data revolution with marketers racing to extrapolate reports into meaningful outcomes. Marketers promise that the use of analytics will deliver the ROI they are looking for. Let’s not get too excited here. Analytics will inform marketing toward the best way to encourage desired customer behaviors. They will not make a brand better at marketing (myth revealed). Creative alone is wild and unpredictable. Data alone informs direction, but can’t stop crap communicators from producing, well, more crap. Together, informed creative is flat out dangerous. Write a great blog post and publish it with no visual media assets at all. Publish a great photo (which takes as much time to shoot and produce, by the way), video or infographic without words. Post both on your social networks and see which does better for engagement, shares and inbound traffic. Look, you need words with visual assets for keywords and search ranking, but don’t kid yourself. One medium is the meal today, the other is the side dish. Snackable media is not just a marketing myth, it is also a misnomer. Blogs are not the first go tactic in the content marketing future. They are the past and the present, but in reality text based media is not well consumed on small devices. And smartphones and other portable media are becoming the primary Internet access device for most Americans. I wonder what its going to be like reading this blog post on an Apple Watch. Maybe Siri will read it to me. Or she’ll serve me a “snack” instead. A study Tenacity5 managed on behalf of Vocus last June with Market Connections revealed as much. Of all the distribution channels noted by marketing survey respondents, blogging was considered the least effective. Only 35 percent rated it as a 4 or 5 (highest). One-quarter of respondents didn’t even use a blog. It’s almost 2015 folks, this isn’t about a new technology becoming widely adopted anymore. Brands would rather invest elsewhere. To be clear, blogs in their conventional form have a role on the web site for customers and stakeholders interested in a brand’s topics. This is especially useful if the blog posts help resolve the same problems the brand is addressing with its other offerings (hat tip #2 to Jay Acunzo). Every blog post has an opportunity to delight, brand and empower people to opt into your total customer experience. But you better have a bigger strategy. No, video is not easy and cheap, and if you shoot it on your iPhone or camera you will produce low-quality crap. Easy video is a huge marketing myth. If you want quality videos, you invariably have to invest in a pro cameraperson/producer or not more. There is a reason why 71 percent of CMO Council survey respondents are predicting video spending will increase by 5 percent or more. Well, this one kind of hurts. I thought my online profile was everything. That was until I read a recent SiriusDecisions report that showed CMOs trust marketing bloggers and influencers the least of all sources when it comes to making purchase decisions. Then I kind of thought about most of my conversations about influencers with CMOs and I got it. They just want influencers to feel important so they will say good things about them. Duh. The marketing myth is that CMOs actually believe in what influencers are saying (unless it is conveniently favorable to them). Instead they think bloggers are trying to sell them consulting services or something. Disappointing. Perhaps I’ll become a reality TV star instead ;) Or a photographer. What do you think? Have any marketing myths to add to the list?